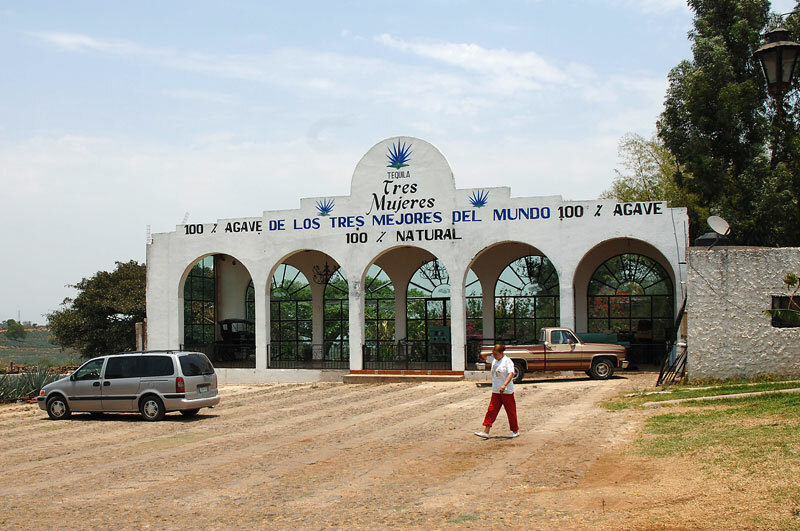 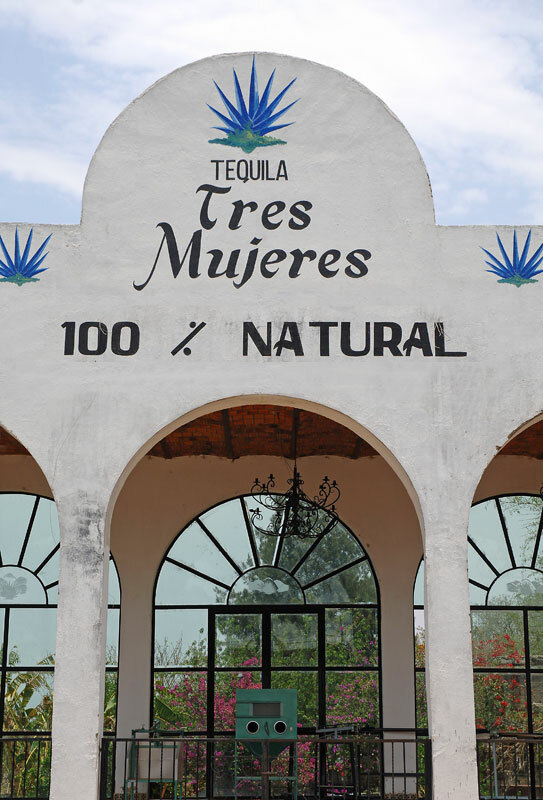 Mujeres Tequila in Amatitan, Jalisco. 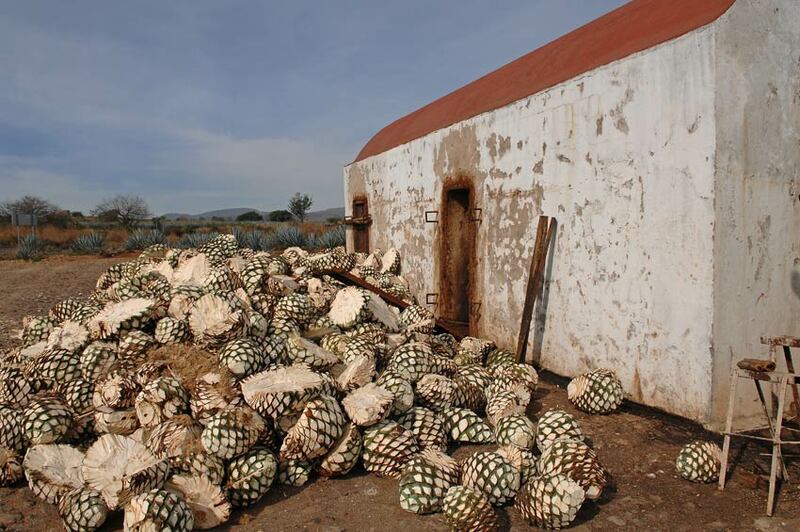 Raw agave piñas (hearts), ready to be cooked, in front of an adobe oven. 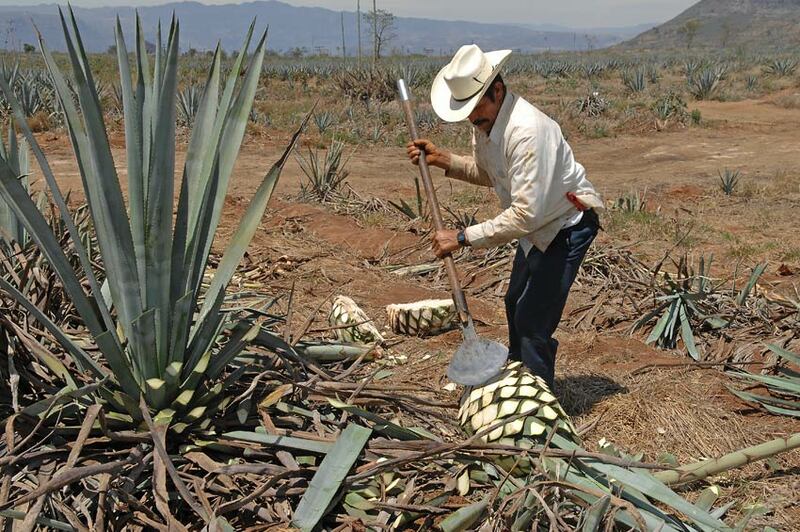 Bottling is done by hand . 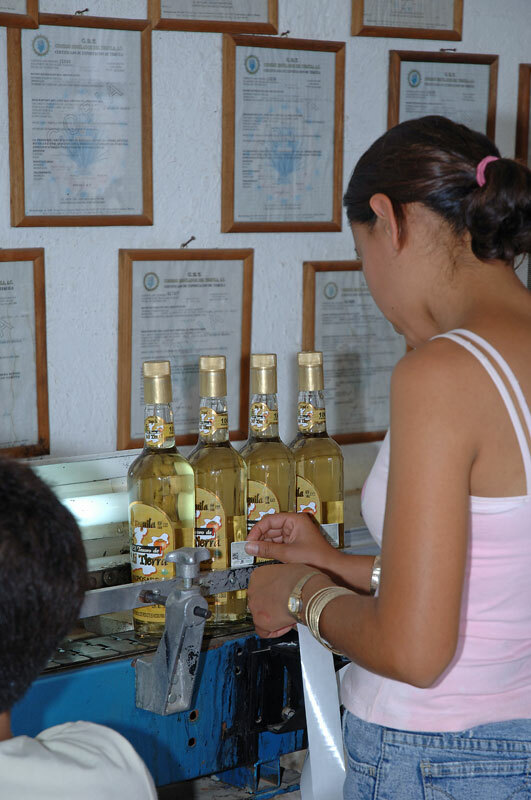 Here the worker is placing the tax label on the bottle. 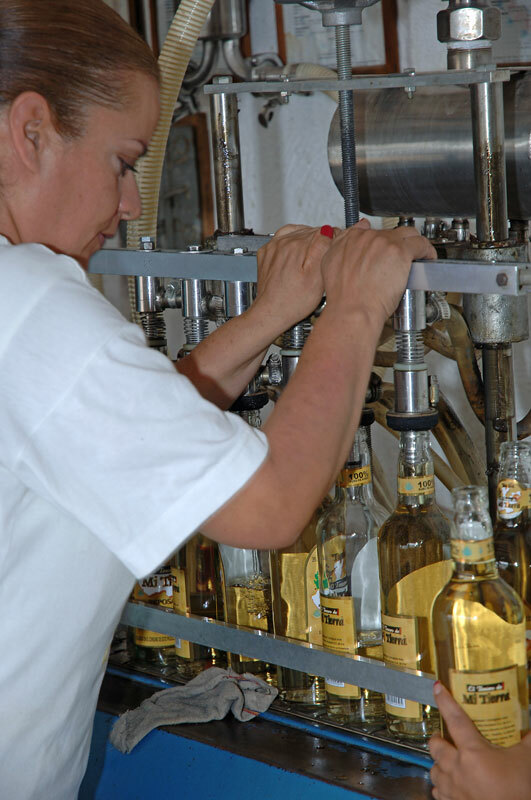 This lady is filling bottles that are passed down the bottling line. 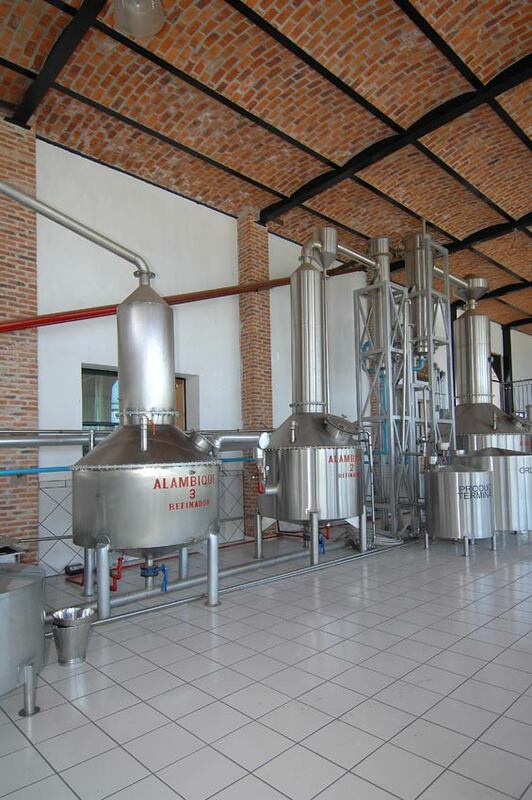 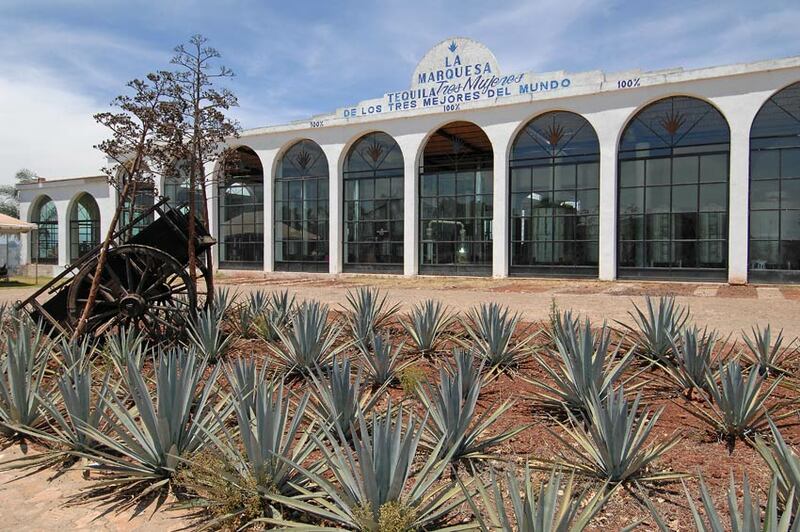 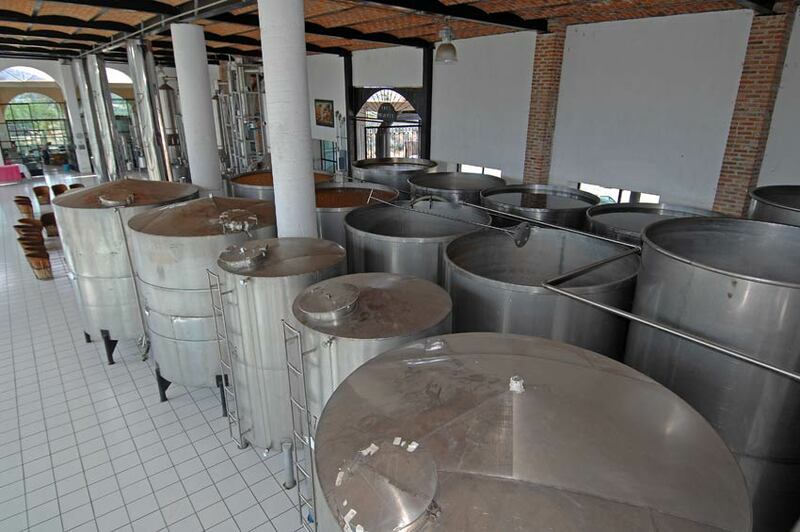 Stainless steel alambiques (stills) at the Tres Mujeres Tequila distillery (fabrica). 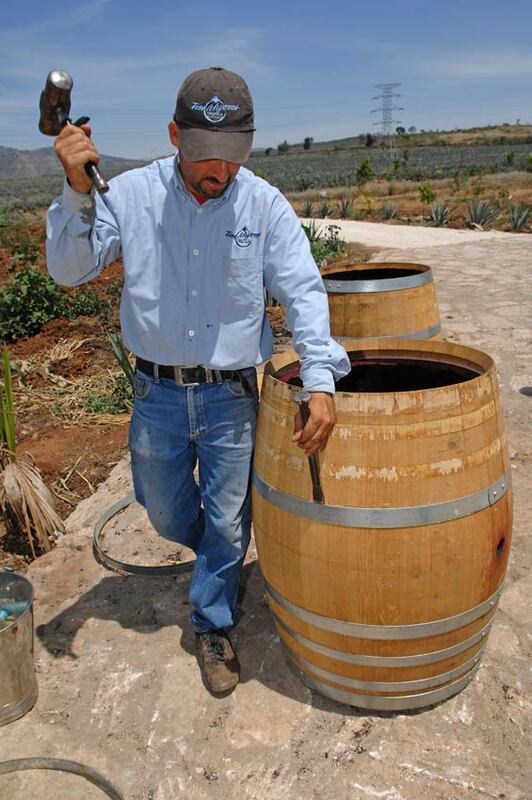 A worker prepares a French white oak barrel that will be charred before used for aging.